Russia will go on providing assistance to India in developing nuclear energy industry, Russian President Vladimir Putin said Saturday. GOA (Sputnik) – Russia will go on providing assistance to India in developing nuclear energy industry, Russian President Vladimir Putin said Saturday after signing a set of documents on cooperation with India as he met with Indian Prime Minister Narendra Modi. "Russia will continue providing our Indian counterparts with comprehensive assistance in developing nuclear energy industry. 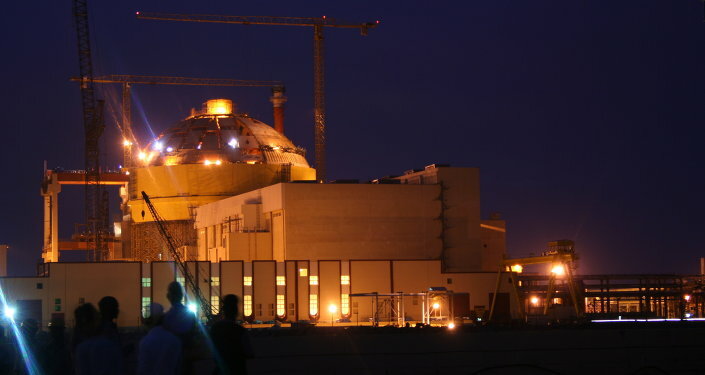 The intergovernmental agreement on the fifth and the sixth power units of the Kudankulam nuclear power plant (NPP) is now being drafted. In total, at least 12 nuclear reactors may be constructed based on Russian technologies within the next 20 years," Putin said. Putin and Modi launched the second energy unit of the Kudankulam nuclear power plant on Saturday via videoconferencing.